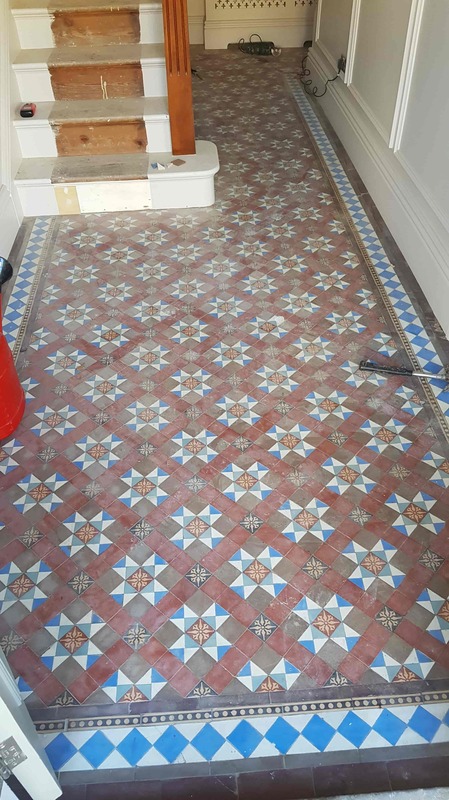 This entry was posted in Work History and tagged Doncaster, efflorescence, Floor Restoration, Floor Tile Cleaning, Property Renovation, South Yorkshire, Tile Renovation, tile repair, Tile Replacement, Victorian Tiled Hallway by abzdominise. Bookmark the permalink. 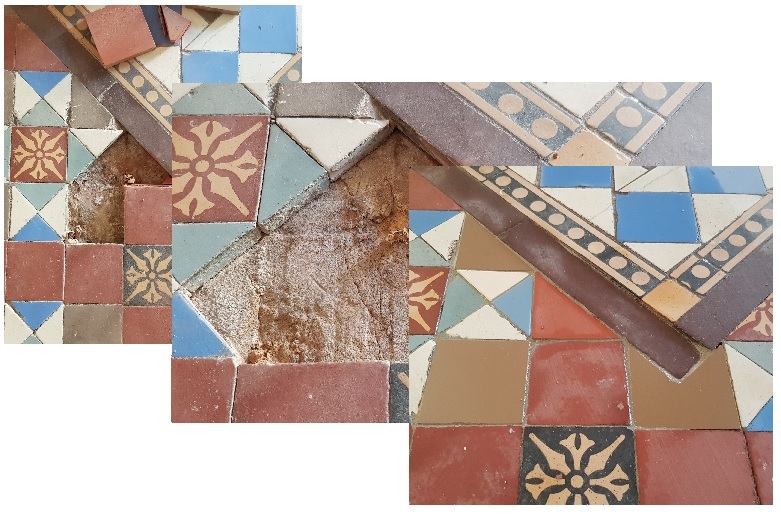 Efflorescence (aka mineral salts) can be a problem with old floors that have no damp proof membrane or have seen water damage. It manifests itself as white salts which are deposited on the surface of the tile as the damp evaporates. Damp proof membranes are a relatively recent invention and only became mandatory in the 1960’s. 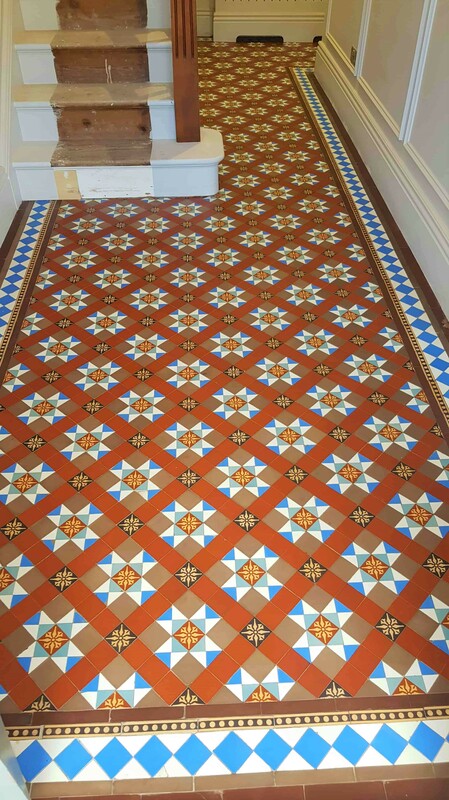 To resolve give the tiles an acid wash using Tile Doctor Acid Gel which will neutralise and counter the alkaline salts.